It’s a fantastic time to be alive and to be connected. But are you connected in the right way? We are witnessing amazing advancements in every industries. From the manufacturing floor, to elevators, to buildings, to cars, the data we are gathering makes the world smarter. But how do we make sure we focus in the right direction and help our customers succeed, no matter which starting point they are at? Connected things. Cloud. Apps. This is the IoT explosion. This is the future. Let’s learn how to build the future together – this is The IoT Big Bang. Chris O’Connor is the General Manager, Internet of Things for IBM. Chris’s current responsibilities are focused on growth of this area for clients and IBM. Prior to this role, Chris was responsible for the product strategy and engineering of the IBM Tivoli Software Division in IBM and similarly for the Industry Solutions Software division around Smart Commerce and Smart Cities. His roles have involved successive responsibilities around arranging patterns of software for industry as well as IT data center value. Chris is an active member of the IBM Growth and Transformation Team and has served on the IBM Technology Team. This role reports directly to IBM’s CEO and senior leaders. 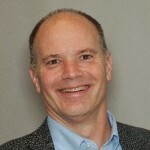 He has been active in the IT Industry for the past 25 years both within IBM and at other industry software providers. The function of the IoT Community, is to focus on the adoption & application of IoT in commercial environments, seeking to understand & contribute to applying the technology or overcoming the wide variety of barriers, inhibitors, and technical & operational issues. As a member of the board, Chris will provide impartial input and guidance to the overall vision, strategy and execution that is helping to shape the current and future direction for the IoT Community, as well as the broader IoT industry.